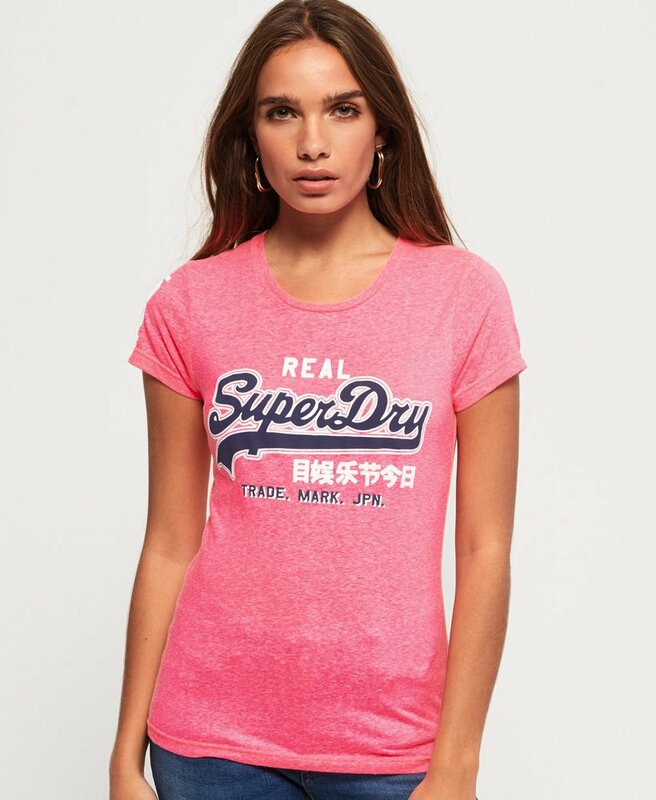 Superdry women's Vintage Logo duo t-shirt. A slim fit, crew neck t-shirt featuring a high build Superdry logo across the chest in a duo colour design. The t-shirt is finished with a high build number graphic on the sleeve and a Superdry logo tab on the hem. This essential all year round piece can be paired with jeans for a casual everyday look.